Finding the perfect decorations and tableware to suit the décor in your establishment can be hard. At Christmas time there are numerous colour schemes to choose from; should you go traditional with reds and greens or luxurious with golds, silvers and even purples? This year why not try adding some rustic charm to bring the feel of the outdoors indoors. 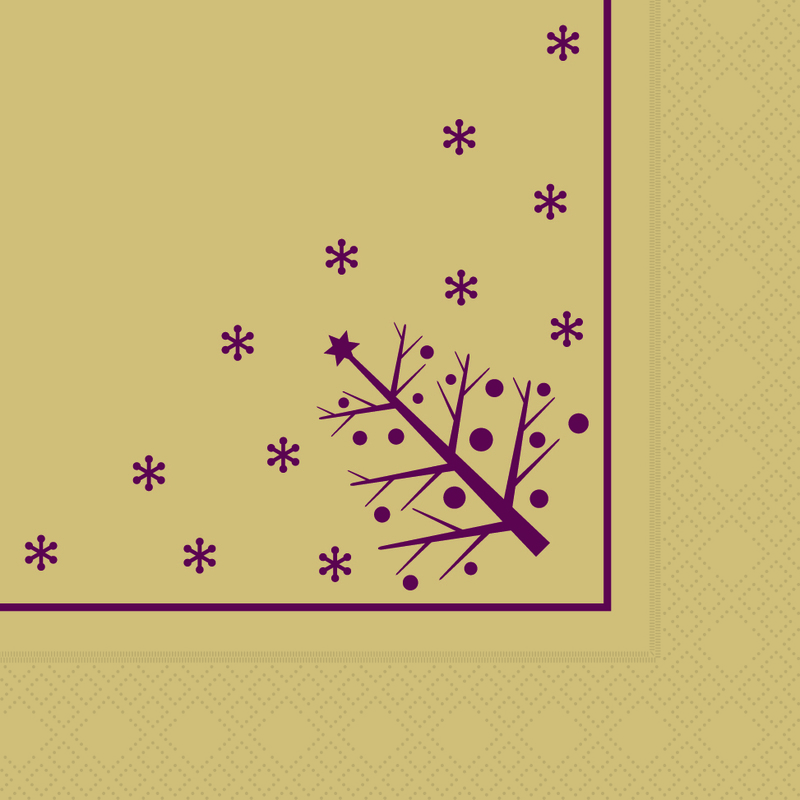 With the bitter winter air tapping at the door, your customers are looking for somewhere cosy and comforting to enjoy festive food with their loved ones and experience the joy of winter, without the cold. Here at Bunzl Catering Supplies we have a variety of contemporary natural effect Christmas products, including crackers, napkins, hot cups and decorations that will truly help you to bring the outdoors in. 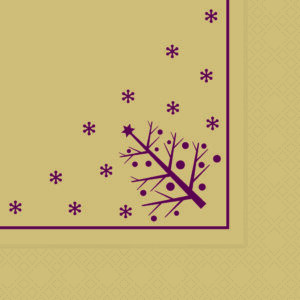 More than just looking natural, our Kraft Eco Snowflake and Kraft Eco Christmas Tree crackers are natural. 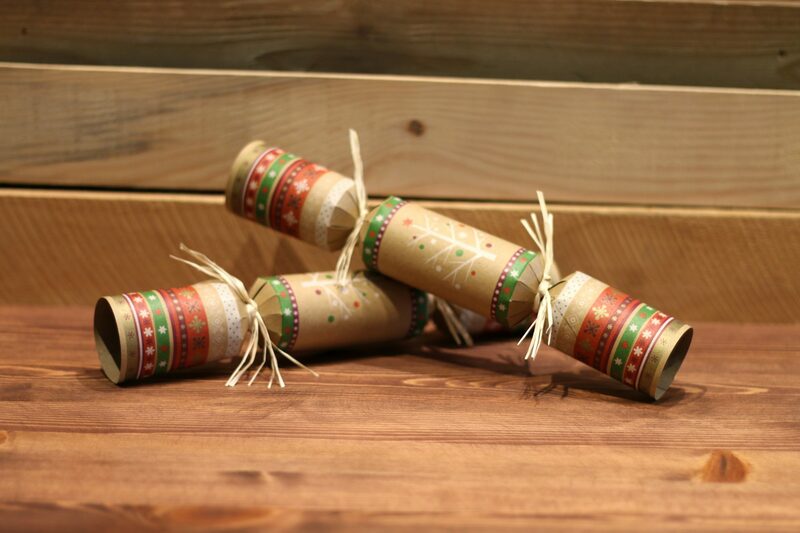 Fully biodegradable and recyclable, these crackers are made from Kraft paper, which is created using long virgin fibres of maritime pine that have been pulped. The Kraft crackers have a natural wood colour as they are not bleached and have gone through minimal chemical processing. The pine fibres used to form Kraft paper are durable and can be recycled several times throughout their lifetime. To add to the environmental features of our Kraft Eco crackers, rather than ribbon they are tied with raffia, a renewable resource that easily biodegrades. 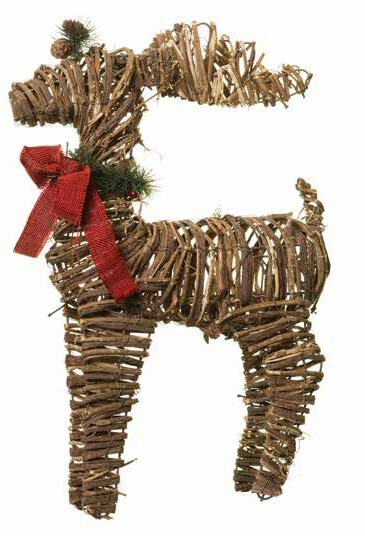 The gift content is wooden and also biodegradable. Our Kraft Eco Christmas Tree crackers can be complimented with our exclusive matching 33cm napkins and Kraft effect hot cup designs to complete your festive offering. 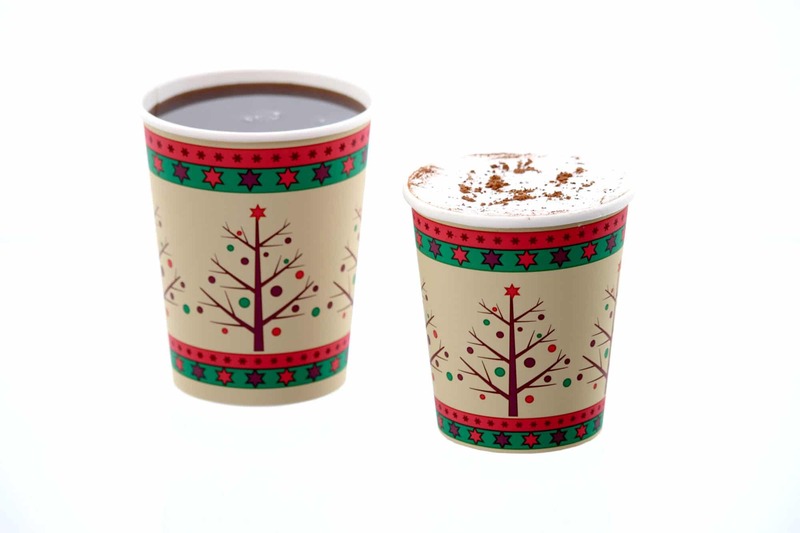 Available in 8/9oz or 10/12oz sizes, the Kraft effect Eco Christmas Tree hot cups and our other Bunzl exclusive Christmas design hot cups can be recycled through the Simply Cups scheme. Click here to find out more about how you can benefit from the Simply Cups paper cup recycling scheme. Now that you’ve decided on your tableware, you can add additional bursts of organic flair throughout your establishment with our rustic feel decorations. 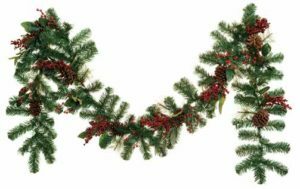 Ideal decorations to complement the Kraft Eco range are our Red Berry Pine Decoration Kits, Woodland Pine Wreaths, Plain Green Pine Decorations and our selection of Christmas decorations made from natural pine and rattan.